MORE DIRTY TEACUP SHOWS FOR OCTOBER 2015! There will be even more events to be announced for October 2015, so stay tuned! 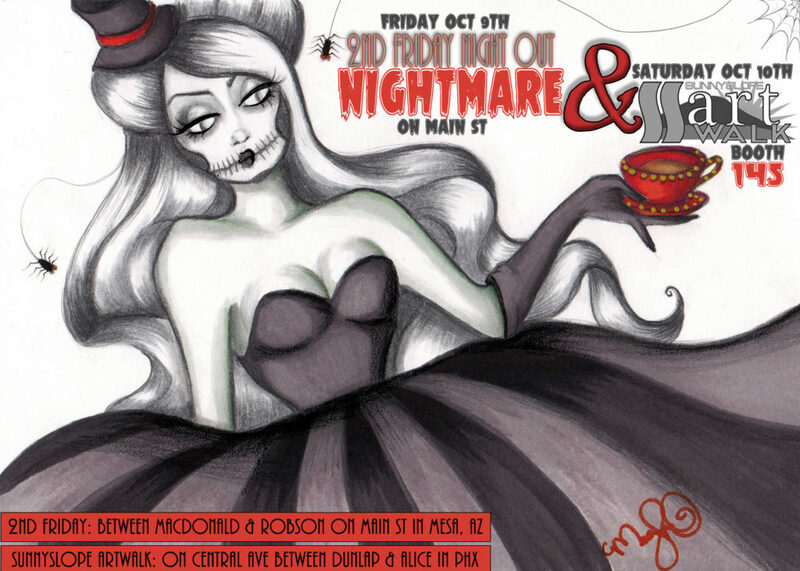 Also, on October 9th & 10th 2015, Dirty Teacup Designs will be attending two Halloween-themed art shows: 2nd Friday Night Out in Mesa Friday, the 9th from 6-10pm & Sunnyslope Art Walk in Phoenix on Saturday from 5-10pm! Head on out and come see me! Dirty Teacup is the idea of two seemingly unrelated entities fusing together. Something delicate, feminine and presumably beautiful blended seamlessly with the macabre, ominous or peculiar. All illustrations created by Meghan O’Connell of Dirty Teacup Designs.